Terri Blackstock is on my list of writers, that when they write a new book, I want to read it. I’m so glad I had the opportunity to read her newest book Catching Christmas. This story is a little different than most of Terri’s books. The book centers around three people, Finn, Sydney and Callie, who don’t have a lot in common. But circumstances have a way of creating some unusual bonds, especially around Christmas. Take Finn for example, he’s a cab driver and for him, time is money. His life is about to get more complicated when he picks up his next fare. Callie, an older woman in a wheelchair, seems to be taking a little nap when Finn arrives and she needs transportation to a doctor’s appointment. Who in the world sends their grandmother to the doctor via a cab? Meet Sydney, Callie’s granddaughter, who is burning the candle at both ends and just trying to keep her new job, thus the cab for her grandmother. Terri has way of making her characters very relatable and real. My favorite character was Finn, a little gruff on the outside, but deep down he has a tender heart, a guilty conscience and wants to get it right this time. Callie reminds me of my mom in her latter years. Only with Callie…I could laugh at some of the embarrassing uncomfortable moments. I related to Sydney too and felt like I had walked in her shoes. The Christian faith is talked about some in this book. Callie is a Christian and she loves Jesus and talks to Him and about Him to others. Catching Christmas is a heartwarming book to read for the Christmas holiday season. It’s a short book, so even if your schedule is busy, you’ll be able to find time to read Catching Christmas by Terri Blackstock. I would like to thank BookLook and Thomas Nelson Publishers for the opportunity to read Catching Christmas by Terri Blackstock in exchange for an honest review. I was under no obligation to give a favorable review. I love reading Christian mysteries and suspense novels and Terri Blackstock is one of my favorite writers. That’s why I jumped at the opportunity to read her newest book, If I Live, which is being released March 6, 2018. This is the third book, in the If I Run series, which tells the story of Casey Cox who has been on the lamb since her friend Brent Pace was found brutally murdered. She is the chief suspect because her DNA was found all over the crime scene. Dylan Roberts, who was hired by Pace family to bring Casey to justice, now believes she is innocent. So much so that he has been working with Casey to compile evidence that will break open this case wide open and allow the guilty to be exposed. From the opening chapters of If I Live, the reader had better be strapped in because it takes off and doesn’t let up until the very end. Each chapter in the storyline is told from a different character’s perspective. It’s a different technique and almost makes you feel like you are in the character’s head and seeing things from their point of view. I really liked If I Live, it’s full of suspense and intrigue. It’s fast paced. I appreciate how the Christian faith has been woven in to several characters. Casey become a Christian during the course of this book and it’s interesting to see all that happens to her from the point of view of a new believer. I especially liked how Casey recognized that though it was tempting to be angry and unforgiving towards those who had done evil, the Holy Spirit was showing her that a Christian doesn’t respond the same way as the world does. I liked the developing relationship between Casey and Dylan. As a Christian, I appreciate how author Terri Blackstock tells a good story without including sexually explicit scenes, filthy language and shows the Christian faith in the lives of characters. After everything that Casey has been through, will it all be for naught? Will she make it out of this alive? Will she be free or spend the rest of her life in jail? Just how much evil can one person get away with? How widespread is this corruption and how many lives have been affected? Who is clean, who is dirty and most importantly who can be trusted? Well to find out the answers to those questions and more, you’ll need to read Terri Blackstock’s newest book, If I Live, which I highly recommend. I would like to thank NetGalley and Zondervan Publishers for the opportunity to read If I Live in exchange for an honest review. I was under no obligation to give a favorable review. I’m a fan of Terri Blackstock’s writing so I was excited at the opportunity to read her newest mystery If I Run. This book is much different from her other stories. If I Run is written in the first person narrative from two character’s perspectives, Casey and Dylan. The story jumps right in to a mystery from the first sentence with Casey leaving the scene of a murder. Over time the reader learns more about who was murdered and why and why in the world Casey is on the run. Shortly thereafter readers are introduced to Dylan, a friend of the murder victim, who was hired by family to help bring into custody the chief murder suspect Casey. Why is Casey fleeing the scene? If she’s really innocent why doesn’t she hang around to defend herself? After all, won’t the evidence exonerate her if indeed she is innocent? Does Dylan really want to find the person who murdered his friend? Or is he hunting Casey down just for the money? Will truth prevail or will evil triumph? To get answers to those questions, you’ll have to read If I Run by Terri Blackstock. This book will keep you on the edge of your seat from beginning to end. One of the things I appreciate about reading Christian writers is when they incorporate the Christian faith into the characters. Unlike some of her other books the main characters aren’t believers. They’ve had some exposure to Christianity, but they aren’t believers yet. Both characters, Casey and Dylan were very likable. I’ve got to confess, Casey had me pulling my hair out at times. But I realized that the character reminded me of real life. We can’t control what other people do and the decisions they make and they have their reasons for making them. I recommend Terri Blackstock’s newest book If I Run. Readers will enjoy Terri’s unveiling the characters and storyline one layer at a time. I forewarn you, you may need to stay up late to finish this book. I would like to thank BookLook and Zondervan Publishers for the opportunity to read Terri Blackstock’s newest book If I Run in exchange for an honest review. I was under no obligation to give a favorable review. I was excited at the opportunity to read Terri Blackstock’s newest book Twisted Innocence, which is the third book in her Moonlighter series. This book carries on the storyline of the Cramer family, Cathy, Juliet and Holly, who have been gravely impacted by the illegal drug trade in their hometown of Panama City, FL. Since coldblooded murder, Leonard Miller, walks free they continue on their relentless quest to find him and bring him to justice. Twisted Innocence focuses on the youngest sister Holly, an admitted party girl, whose life has had sudden change in direction with the birth of her daughter Lily. Has Holly really changed her ways? Will she make better and wiser decisions now that she’s a mom? Or will she continue down the slope of irresponsible decisions that impact other people? Is her Christian faith real? If so, how will her faith be manifested in her life? Answers to those questions are revealed throughout the story. I appreciate how Terri Blackstock weaves Christian faith into her characters and views life from the lens of the Bible. She also shows people as real, in the process of growing in their faith, changing and sometimes backsliding. I found myself challenged in my emotional response to Holly and some of her decisions. I think it revealed how I feel in real life when I see loved ones making unwise decisions. I’m impressed with how Terri handles the relationship the girls have with their father, a former minister who fell into sin and deserted his family when they were still children. His sin greatly impacted his daughters. But he’s back in their lives now as he suffers from Alzheimer’s and is in a nearby care facility. I think this story portrays a good picture of how children can obey God’s commandment to honor their parents even when their relationship has been broken. One thing I would have liked to have seen handled a little stronger is in a conversation between Holly and Creed. As they talk, Holly assures Creed that God hasn’t given up on him and is not disgusted with him. Holly says, “I get the feeling that He’s not made at me. 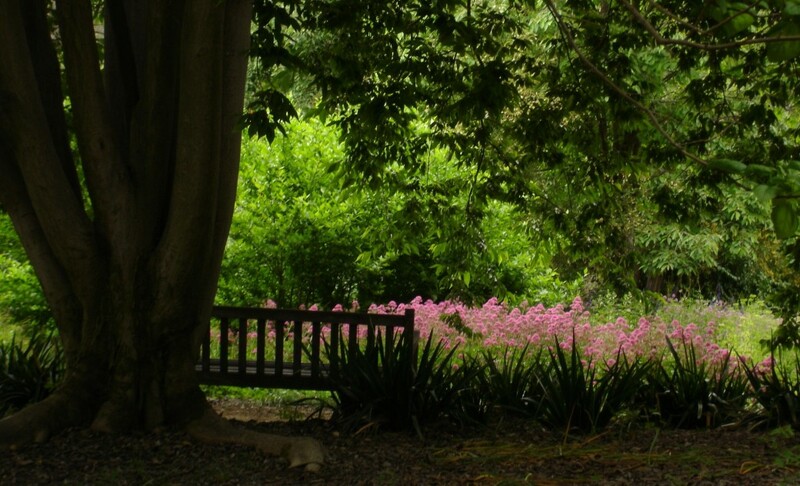 He wants better for me and for you.” Our God is a God of steadfast love, kindness and mercy. But He is also holy and He hates sin. Our sin is what necessitated God the Father (who is loving, holy, just and righteous) to send His only begotten Son to die in our place and pay the penalty for our sin. I would like to have had the truth that God does hate sin brought out. Without the knowledge that I have sinned against God, I don’t see my need for a Savior and forgiveness from God whom I sinned against. 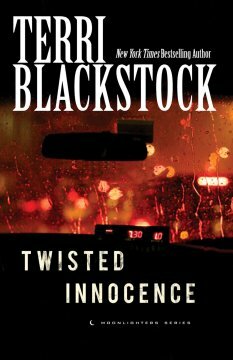 I highly recommend Terri Blackstock’s newest book Twisted Innocence. It’s a good read, fast paced and intriguing with Christian faith woven throughout the book. If you’ve not read the earlier books in this series, I think it’s a good read on its own. Terri fills in the necessary background of the characters from the earlier books. I would like to thank the people at BookLook and Zondervan publishers for the opportunity to read Twisted Innocence in exchange for an honest review. I was under no obligation to give a favorable review.